I’m back with a second post tonight. 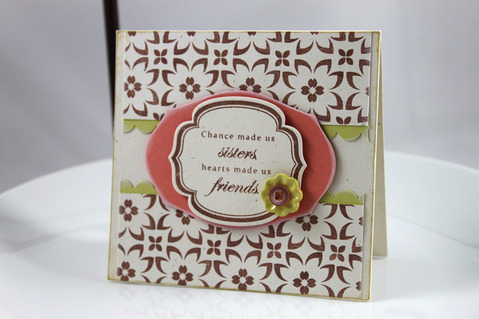 I’ve combined two challenges – the colour challenge from The Paper Players and the sketch challenge from Pals Paper Arts. 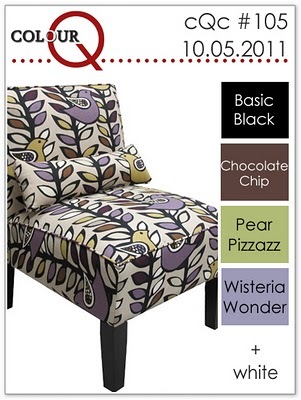 How gorgeous are these colours together? – they’re one’s I wouldn’t have used before because I’m still experimenting with colour combo’s and not making every card with basic black! 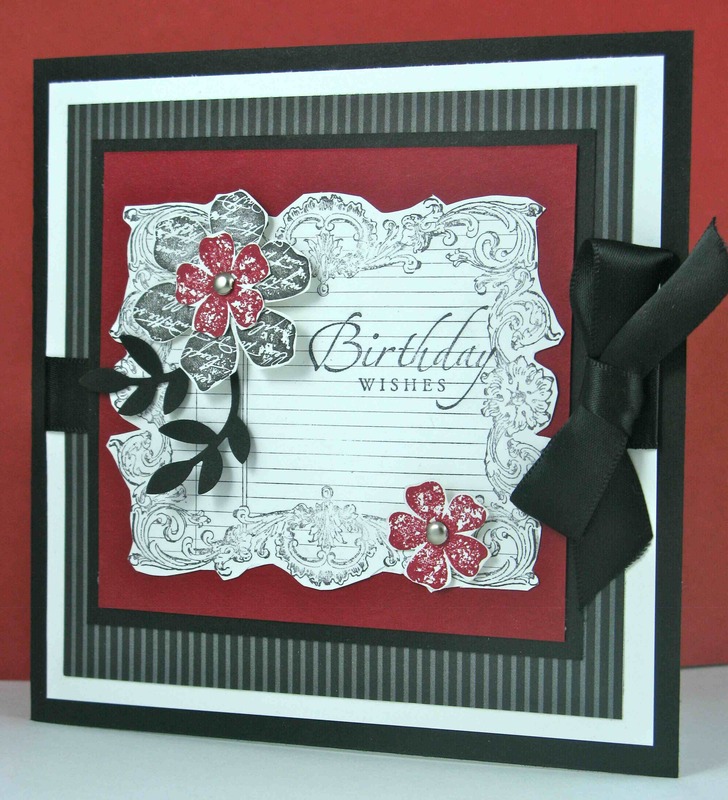 Here’s my card – my bling looks black, but I’ve used basic rhinestones. 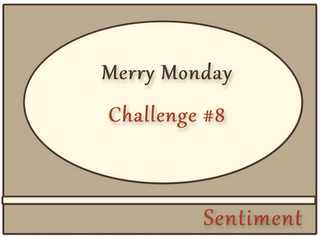 Here’s my card for this weeks Merry Monday Challenge. Click here to take you to Lesley’s blog and join in the fun. This way you have some Christmas cards up your sleeve for when “the season” sneaks up on you. 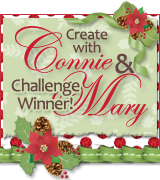 I’m combing two challenges with my next card – the colour combo at Colour Q Challenge and the sketch challenge at Create with Connie & Mary. What do you do when your order didn’t arrive when you expected it to, and you don’t have your new DSP you thought was coming? Make your own DSP with a background stamp. 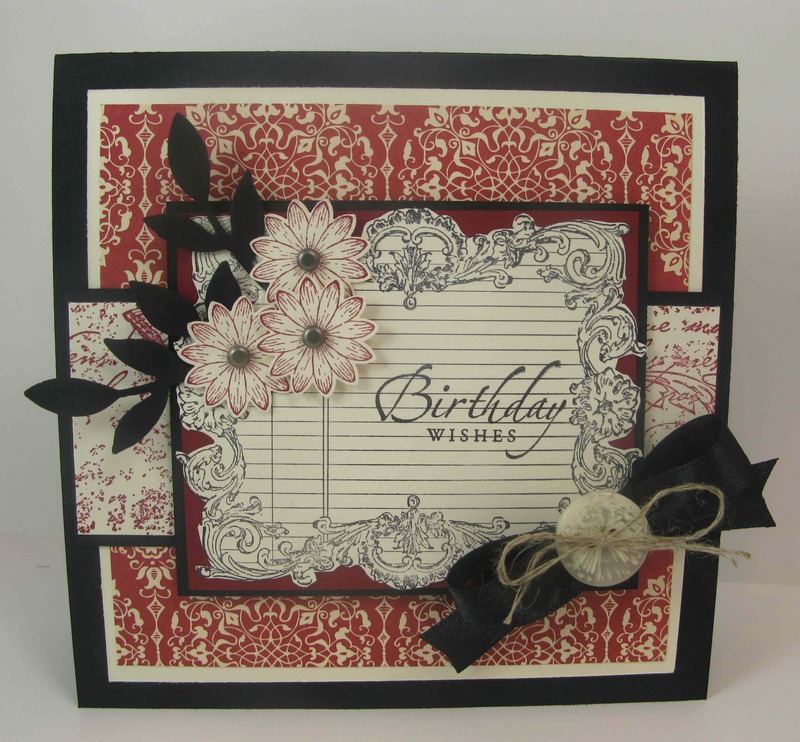 The flourish from my new favourite set of the moment – Established Elegance – came in really handy and finished off my card for me. 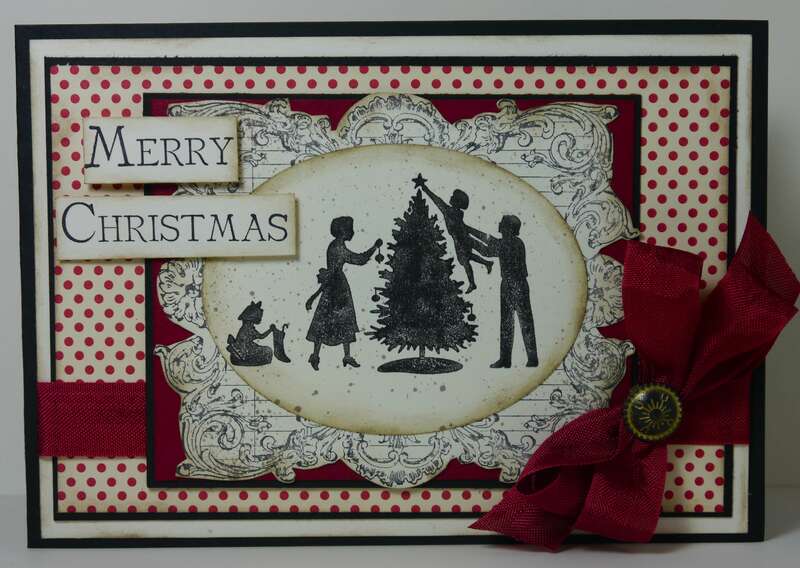 This card was awarded a Top Pick at Create with Connie & Mary. Happy World Card Making Day! 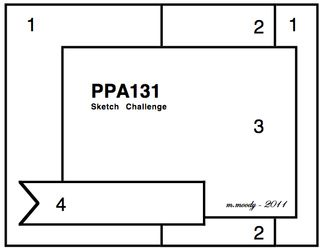 The challenge at Our Creative Corner this week is to create a project inspired by a country other than our own. 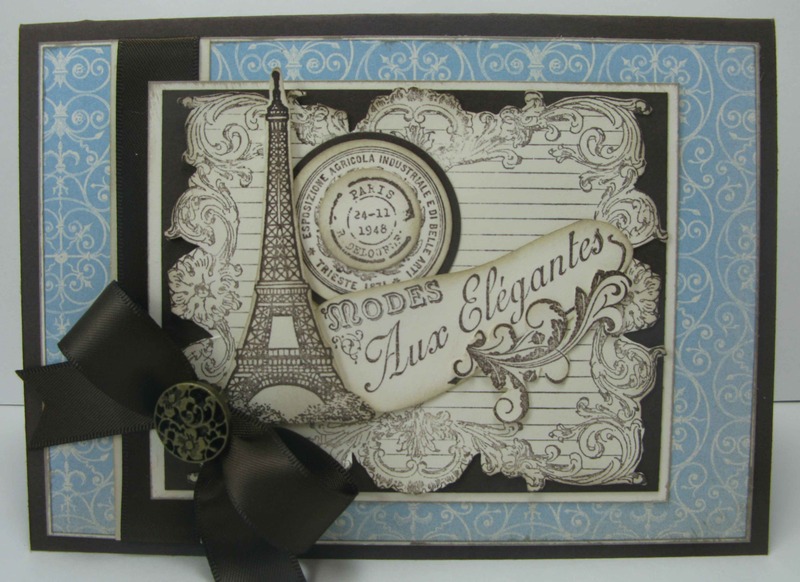 I’ve chosen France because when I think of anything french two things come to mind – elegance and vintage. 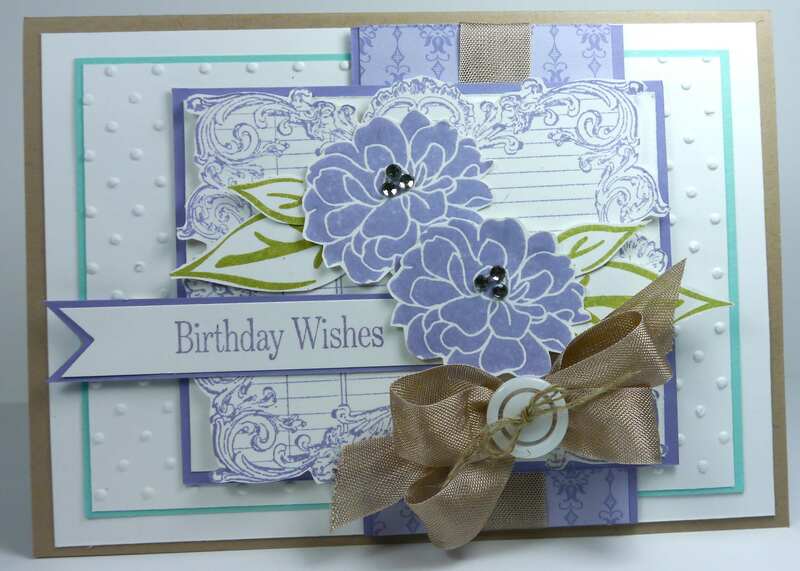 For the layout I used the sketch challenge at Stamping 411 as it felt very elegant too. 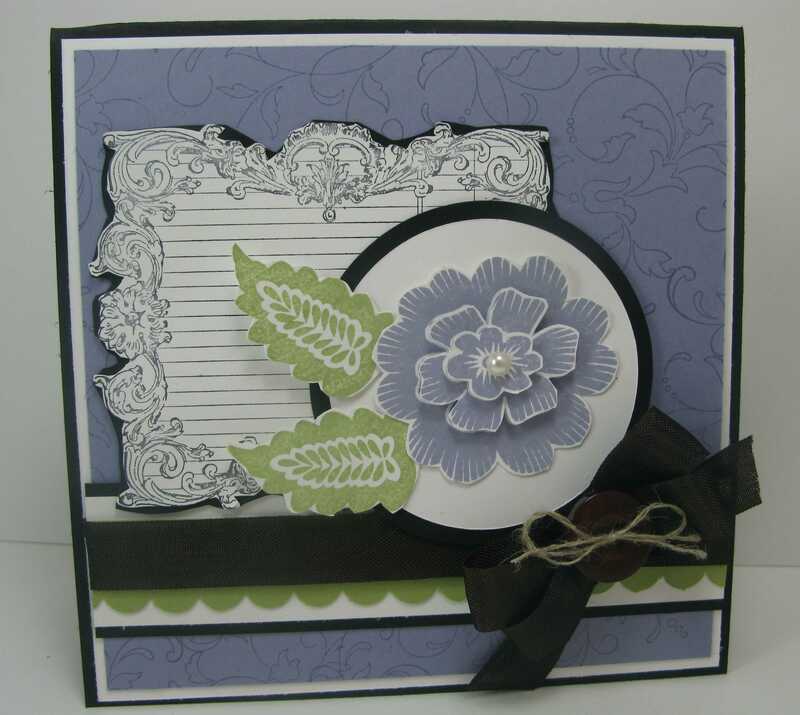 Instead of the oval shape, I’ve used a rectangle shape as it gave me a chance to use my Notably Ornate stamp set again. 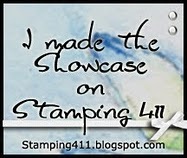 I made the Stampers Showcase at Stamping 411. I found my Little Leaves Die! – I thought it was gone forever and was about to buy another one. I’ve been looking for it for about 2 weeks and I eventually found it where it was supposed to be (not sure how that happened!). Anyway back to the real reason I’m here. 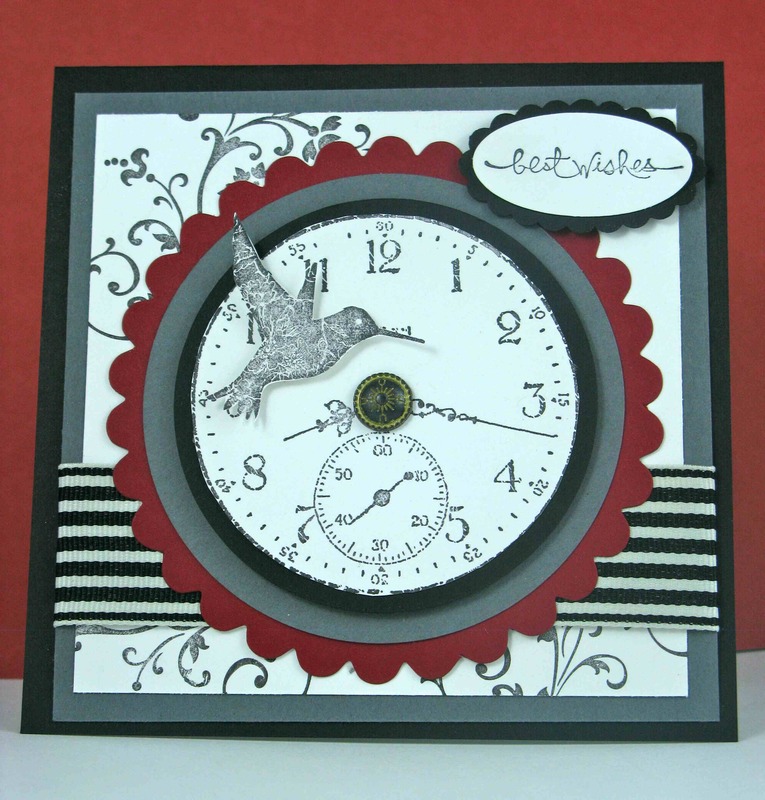 The card below was made by Dawn Woleslage for CASE Study Challenge. We get to CASE her cards for the month of July and put our own spin on them. I held a workshop in January at my Aunt’s house – thanks Bev! – and thought I would show you the photo of one of the cards we made. This was one of the cards I made for my Aunt for having the workshop at her house. 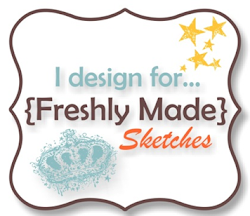 For the month of April the talented Silke Ledlow is Case Study Challenge’s muse. We get to use her designs for inspiration and create our own version of her design. 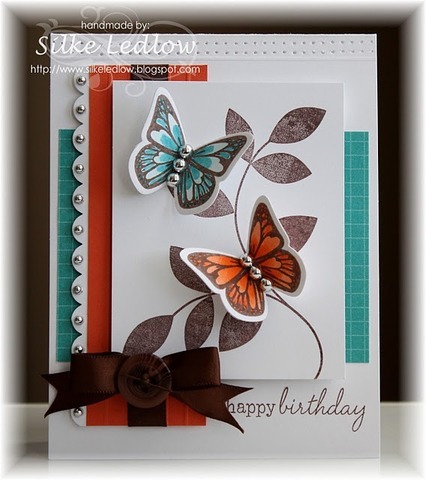 This is Silke’s card below that we used for inspiration. For my card I used butterflies as well, but kept my card with the vintagey look.